Take part in filming famous blockbusters. Review scripts, invite your favorite actors, and direct feature films. Make movie posters and astonish your friends! 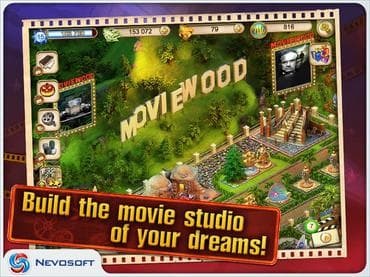 Free Game features: - Feel the incredible atmosphere of your favorite movies; - Complete lots of interesting tasks; - Experience an unusual mix of hidden object and city builder game; - Get a chance to walk on the legendary red carpet. If you have questions about Moviewood game, please contact us using this form.